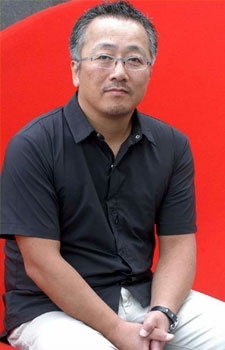 Katsuhiro Otomo was born in the province of Miyagi, Japan. His great passion when he was young, was watching American movies. He often had to travel for hours to the nearest movie theater. He moved to Tokyo in 1973 and made his debut in comics the same year, with 'Jyu-sei' ('A Gun Report'), an adaptation of the Prosper Mérimée novella 'Mateo Falcone'. After this, he frequently published his work in magazine Action. In 1979, Otomo's first longer publication appeared - a series called 'Fireball', which was a great success for its ground-breaking style, which changed traditional manga forever. This was the beginning of Otomo's interest in science-fiction themes. In 1980, Otomo's 'Domu' became a best-seller and won Japan's Science Fiction Grand Prix Award. In 1982, Otomo comes up with the comic series 'Akira', which was first published in magazine Young. It was an immediate success and grew into an epic tale. It has won numerous awards and is regarded by many as the finest work of graphic fiction ever created. It has been published in the West as well, where it met with just as much enthusiasm. He is also a fan of James Dean's "Rebel Without a Cause" and Kubrick's "2001: A Space Odyssey".